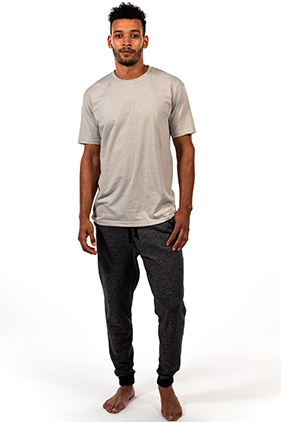 52% cotton/48% polyester, 7.4 ounce heather denim super-soft fleece jogger. Side pockets, back pocket. Solid color ribbed waistband and bottom cuffs. Tear away label.